Another week, another eShop update! Expect plenty of new games, DLC updates and discounts on the eShops in your region - there's bound to be something down below that'll whet your gaming appetite. As always, be sure to drop a vote in our poll and a comment down below with your potential picks for the week. Enjoy! 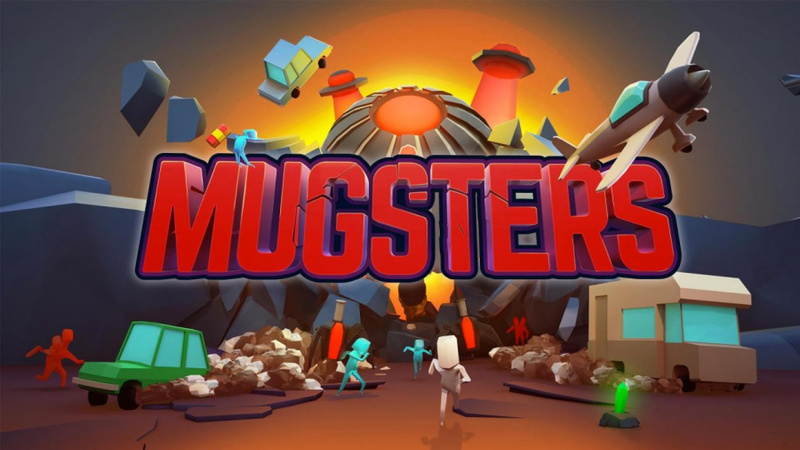 Mugsters (Team17, €14.99 / £9.99) - Mugsters is a physics-based, supercharged, action-packed puzzler with sandbox levels where you must outrun, out-manoeuvre and outsmart your enemies by experimenting with different vehicles, environmental traps and explosives. 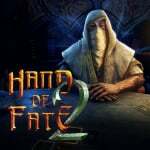 Hand of Fate 2 (Defiant Development, €23.21 / £20.34 until 25th July, Regular price €25.79 / £22.6) - Hand of Fate 2 is a dungeon crawler set in a world of dark fantasy. Master a living boardgame where every stage of the adventure is drawn from a deck of legendary encounters chosen by you! 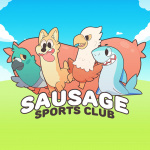 Sausage Sports Club (Luckshot Games, €12.99 / £11.69) - Sausage Sports Club is a physics-sports game about adorable, floppy animals competing on a reality TV show! Beat Rush (FuryLion Group, €4.99 / £4.49) - Beat Rush is your new addiction! 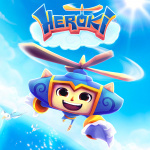 With this brand new beat-based action platform game, you will challenge your skills and see what you’re capable of. 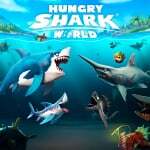 Hungry Shark World (Ubisoft, €9.99 / £7.99) - Become a shark and spread terror on the beach! Sink your teeth on tons of new missions. Experience life as a shark in full HD with redefined, and fully optimized, gamepad controls. Animal Rivals: Nintendo Switch Edition (Blue Sunset Games , €2.61 / £2.32) - Animal Rivals is a crazy party game for up to 4 players. Different characters, game modes, lots of stages and tons of fun. 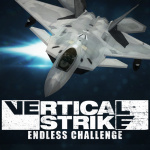 VERTICAL STRIKE ENDLESS CHALLENGE (Active Gaming Media, €4.99 / £4.49) - A flight-based action game designed to be easy to pick up and enjoy right away, and playable over short timeframes. Take advantage of the myriad weapon combinations at your disposal and achieve dangerously high levels of manoeuvrability by disabling your Alpha Limiter to spear your way through waves of enemy attacks. Arcade Archives City CONNECTION (HAMSTER, €6.99 / £6.29) - "City CONNECTION" is an action game that was released from JALECO in 1985. Girl Clarice drives "Clarice car", and runs around the world in search of the ideal of man. 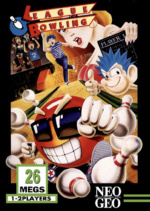 ACA NEOGEO LEAGUE BOWLING (HAMSTER, €6.99 / £6.29) - “LEAGUE BOWLING” is a bowling game released by SNK in 1990. You are able to select your dominant arm and ball weight, using precise controls to play just like real bowling! Choose from one of three modes, REGULATION, FLASH, and STRIKE 90. *Game sections requiring use of the connection jack are not included. Frost (Digerati, €12.99 / £11.69) - Frost is a deck-building, solo survival card game set on a harsh, frozen world ravaged by a lethal storm. You must lead a group of nomads in search of the Refuge – a haven away from the Frost’s icy grip. 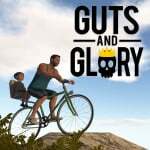 Guts & Glory (tinyBuild Games, €14.99 / £13.49) - Welcome to Guts and Glory—The craziest game show on earth, where ordinary people compete in extraordinary challenges of life and death, for glory! The objective is simple: Race to the finish line while everything tries to kill you. Lost Phones Stories (Plug In Digital, €9.99 / £8.99) - The Lost Phone games are about exploring the intimacy of an unknown person whose phone you've found. Experience relatable stories which help build empathy with the characters, allowing to explore difficult topics and social issues. 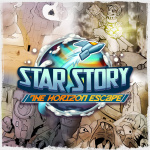 Star Story: The Horizon Escape (Forever Entertainment, €9.99 / £8.99) - Star Story: The Horizon Escape is a turn-based, adventure game with text-rpg elements. Tune into the story of the aspiring space-archaeologist Van Klik on his mission to the mysterious planet of Horizon! STARSHIP AVENGER Operation: Take Back Earth (TOMCREATE, €3.99 / £3.99) - "Starship Avenger" is a defence shooter action game. Blast off the weapons installed on Avenger to defeat the enemies who come to destroy mankind's ultimate weapon! Don't let them cross the Dead Line or they'll cause damage to Thor's Hammer! 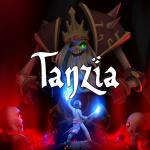 Tanzia (Arcanity, €19.99 / £16.99) - Years ago, your grandfather disappeared under mysterious circumstances. Before leaving, he sent you into hiding on Volcano Island. Now older, you've been set free by your guardian and mentor Abenaki to follow the mystery... but is Abenaki telling you everything? 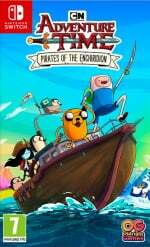 Cartoon Network Adventure Time: Pirates of the Enchiridion (Outright Games, €39.99 / £34.99) - Ahoy! The Land of Ooo is underwater and it’s up to Finn and Jake to find out why. Join our heroes as they explore the high seas, search for hidden clues, interrogate shady suspects and fight pirates to solve the mystery and save their waterlogged world! Arcade Archives Sky Skipper (HAMSTER, €6.99 / £6.29) - Sky Skipper is a shooting action game released in 1981 by Nintendo. Dodge enemy attacks and counterattack with your bombs! Get even more points by saving the right combination of 4 animals! Don't forget to go and replenish your fuel when you run low. 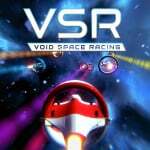 VSR: Void Space Racing (SONKA, €9.99 / £8.99) - If you're looking for your generic futuristic racer, look for it elsewhere - this game is not for the faint of heart! Impactful and challenging, VSR: Void Space Racing gives you the opportunity to fly through vast and diverse locations in outer space and prove yourself worthy of the first place! Werewolf Pinball (Enjoy Up Games, €1.99 / £1.79) - Enjoy Werewolf Pinball, a perfect reproduction of a real pinball machine, with all the graphic details and sounds. 1979 Revolution: Black Friday (Digerati, €9.59 / £8.63 until 10th Aug then €11.99 / £10.79) - Based on true stories and historical events, 1979 Revolution: Black Friday is an interactive drama about choice and consequence, chaos and order. The year is 1978, the place is Tehran, Iran. You play a photojournalist who returns home to find his people protesting the ruling King, the Shah. Armed with your camera, you're soon pulled into a dangerous world of revolution and civil unrest. State of Anarchy: Master of Mayhem (Sometimes You, €6.39 / £5.75 until 2nd Aug then €7.99 / £7.19) - State of Anarchy: Master of Mayhem is a hilarious shooter that will put a smile on your face. You were an ordinary citizen in a small town… Now it’s on fire! Rioters are storming the houses, aliens rampage in the sky! Anarchy has never been so much fun! NoReload Heroes (Forever Entertainment, €8.99 / £8.09) - NoReload Heroes is a chaotic co-op party shooter for up to four people. You play as a team, fighting your way through randomly generated rooms filled with various types of enemies, picking up insane magitech guns on the way. Shooting stuff up is simple and hilarious, but only the best of teams can make it all the way back to the evil they've created. I got the Encore DLC for Sonic Mania on Tuesday but that's it. Just to mention the pure love or whatever games are not English at all. They are fully japanese only, seems weird they would release over here. Frost looks interesting. Will wait for reviews though. Same goes for Sausage Sports Club, which I love the craziness of. For those that like the genres Mugsters and Tanzia look like neat games aswell. I will probably go for the discounted Sine Mora. Seems like a good deal after all. Enter the Gungeon at half-price? Don't mind if I do, thankyouverymuch. Maybe Sausage Sports Club, though I might wait for reviews. Electric Love? Please tell me I’m not the only one who chuckled... I wish we’d get a Bob’s Burgers game. @justin233 The eshop store pages for them are a complete cheese fest. Well I refuse to buy anything until I get a review for each instalment of Pure Electric Love, plus a multitude of guides and 'Deal' links to Amiibo waifu on Amazon. All these games better be cheaper to compete with Fortnite tbh. Gungeon is the best deal by far! A demo version of Monopoly is also a available, and as Taiko no Tatsujin in the Japanese eShop (English is not [yet] supported despite what the eShop page indicates). Took me about 20 mins to scroll down that HUGE list! 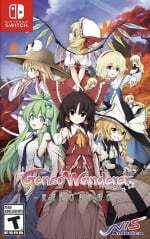 Question for NL staff: how on earth are you going to filter for review games now that the floodgates seem to be opening? Hmmm Mecha Storm on sale. Will have to investigate. Also that Tehran 1979 game sounds interesting. 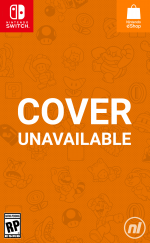 Couldn’t see Sky Skipper on eShop. Wtf ? I would go with Sky Skipper, even though it's not up yet. I'm guessing it'll be a Friday release like what happened with Donkey Kong. Mugsters is giving me Blast Corps flash backs, doubt the games anything like it. Nintendo you really need to increase the amount of trash arriving on the switch every week! @Bunkerneath QUESTION TO POST #1 (up there). Did you already try them all and found out there are a lot of shovelware titles OR are you just guessing from the name of a game, the publisher, the price and the pictures or videos. I am very interested in your metholodgy. @KIRO Yeah, I'll second that query. What baffles me is that they appear to be deliberately avoiding the bad games, even if they've previously received a lot of coverage on here. Harvest Moon and Tennis World Tour, to name but two. Surely this site should pride itself on being indiscriminate. Giving each release a fair chance and warding people away from poor efforts with low scores if publishers are simply cashing in. Especially when titles are such well known ones. You guys forgot ACA CITY CONNECTION which is not only the best emu wrapper Hamster has released so far (fixed Caravan mode!) but a great arcade classic. Is Mega Man X coming to Europe later? Interested in Hand of Fate, but I feel like I should finish Lone Wolf and Mercenaries Saga first. Stumped on specific fights in both unfortunately!